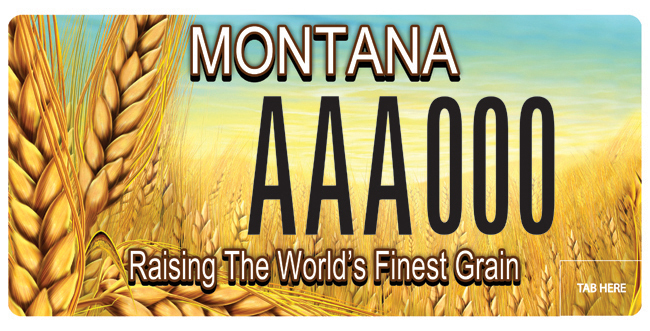 The Montana Grains Foundation sponsors a specialty license plate available at all Montana County Treasurer’s Offices. Proceeds are used to carry out charitable, scientific and educational activities on behalf of Montana’s grain industry, including establishing scholarships and educational programs aimed at improving the skills of those engaged in growing and marketing grain and supporting agricultural research at Montana State University. Don’t miss this opportunity to support Montana’s producers who are “Raising the World’s Finest Grain”!